The United Nations is financed mostly by taxpayers from a few donor countries but the large and growing bureaucracy is too far removed from those taxpayers to be directly accountable to them. It is run by unelected, unaccountable, undisciplined, and incompetent bureaucrats. The organization’s size, budget, and scope are unconstrained. The budget funding process provides perverse incentives for these bureaucrats to increase the size and scope of their organization simply by creating multitudes of agencies and programs, and by inventing problems and environmental crises set on a global scale. “Land…cannot be treated as an ordinary asset, controlled by individuals and subject to the pressures and inefficiencies of the market. Private land ownership is also a principle instrument of accumulation and concentration of wealth, therefore contributes to social injustice.” From the 1976 report UN’s Habitat I Conference. famine and the like would fit the bill. […] The real enemy then is humanity itself. The death knell for freedom has been tolling for some time, and only now are people starting to hear it. It started tolling faintly, decades back, and has slowly progressed in volume, until today its tolling is impossible to ignore. The United States of America — that “shining city on a hill” — had a good run of it, and made a gallant effort at establishing liberty for all. But as the old saw would have it, all good things must come to an end. Liberty, after all, is an aberration in mankind’s history — a light that has flared here and there over the centuries, only to dissolve back into the darkness. I’m not talking about something we need to be on guard against. It is all already in place. It has been going on for quite some time, and it will continue to go on, at a greatly accelerated pace. We are at the “end game” point. And the Globalists know it. Why do you think the Democratic (and many Republican) political hacks on Capitol Hill are so dismissive of the American people? They are essentially putting on a “dog and pony show” for public consumption, while the final pieces for America’s defeat are slid into place. To a great extent the Globalists own the mass media, the entertainment industry, and the Judicial, Executive, and Legislative branches of government. God has been demeaned, marginalized, and eradicated, at every turn. 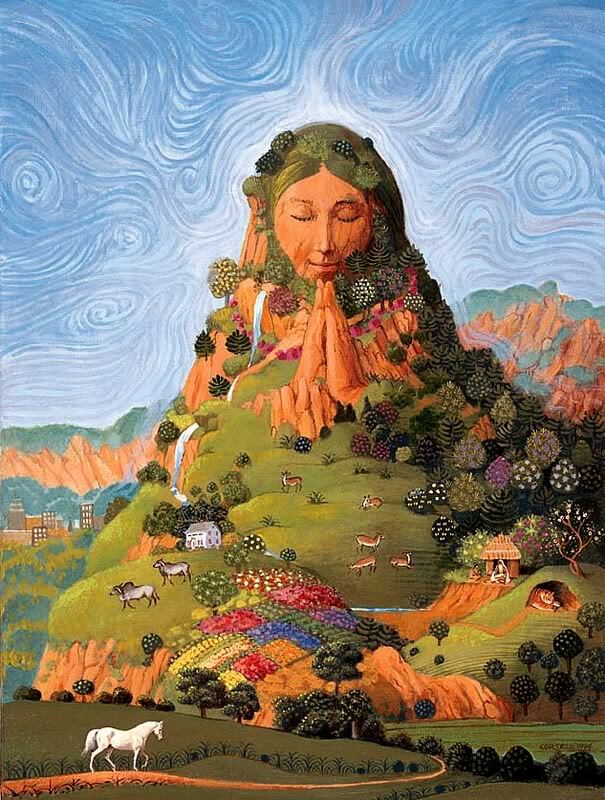 Our religions are, in many cases, a watered down and diluted mimicry of true spirituality. The Globalists have come out from the closets, the woodwork, and from under rocks. They know that their time of hiding is at long last over. They are brazen about, and proud of, their anti-American/pro-global stance. Their arrogance and hubris is palpable. Call them Communists, Marxists, Fascists, or Globalists — call them what you will, they are collectivists who despise America’s middle class, capitalism, and free enterprise. They have been duplicitous, Machavellian, clever, and patient. And it has paid off — the trap has been sprung. How did this happen? America got hit high, and America got hit low. We suffered sudden catastrophic sneak attacks from without, and insidious long-term betrayal from within. We were hit low by Alinskyesque “community organizers” in our streets, and propagandists in our schools. We were hit high by “think tanks” like the Trilateral Commission, the CoR (Club of Rome), and the CFR (Council for Foreign Relations). They have divided us with special interest groups, vociferous “talking point” attacks, and identity politics. They have infiltrated our schools, and indoctrinated our children. They have opened floodgates using the Cloward-Piven Strategy — overwhelming our judicial system, banking establishment, and border security. They have encouraged corruption and greed at the lowest, to the highest, levels of government. They have twisted and perverted the U.S. Constitution. They have promoted and encouraged anything and everything that would help bring America down. They intend on taking over the planet, but first they need to destabilize, and then destroy, the United States of America. Because we are a powerful bulwark of freedom, we have to go first. And to a large extent, go we have. 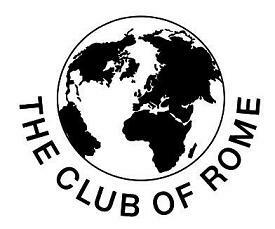 The Club of Rome (CoR) was founded 1968, in Italy, by Aurelio Peccei, an Italian scholar and industrialist, and Alexander King, a Scottish scientist. After its inception, it split into two additional branches: The CoB (Club of Budapest), and the CoM (Club of Madrid). The CoB focuses mainly on social and philosophical/religious issues, while the CoM concentrates more on political issues. In addition, there are over thirty affiliated organizations in other countries — such as the USACoR in the United States. The CoR first garnered public attention with its 1972 report “The Limits to Growth,” which went on to become the best selling environmentalist book of all time. Simply stated, its main thesis is that economic growth cannot continue indefinitely, because of the limited availability of natural resources, particularly oil. It’s sort of an industrialized version of a Malthusian nightmare. Twenty years later, the CoR published The First Global Revolution — a quote from the book appears at the start of this article. 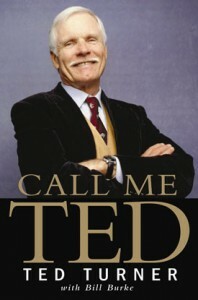 This book also made a big splash, and helped to re-energize and expand the whole environmentalist movement. “One invented for the purpose.” Enter global warming and greenhouse gases. But something even more important happened the year before The First Global Revolution came out. 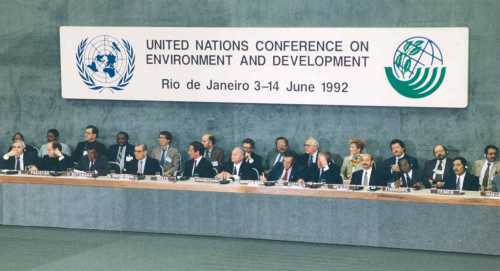 At the instigation of the CoR, and their ilk, in 1992 the United Nations held the Conference on Environment and Development — informally known as the Earth Summit — in Rio de Janeiro, Brazil. 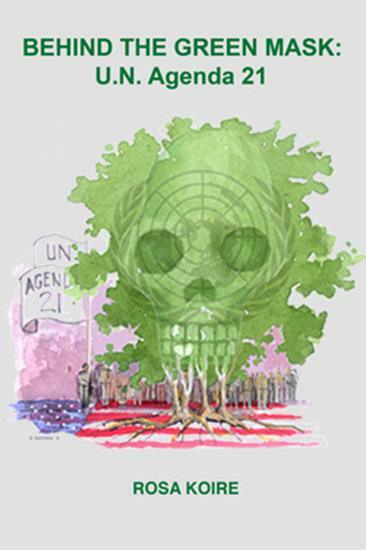 At the Earth Summit, 178 nations signed an agreement called Agenda 21 — so called because it dealt with the United Nation’s agenda for the 21st century. 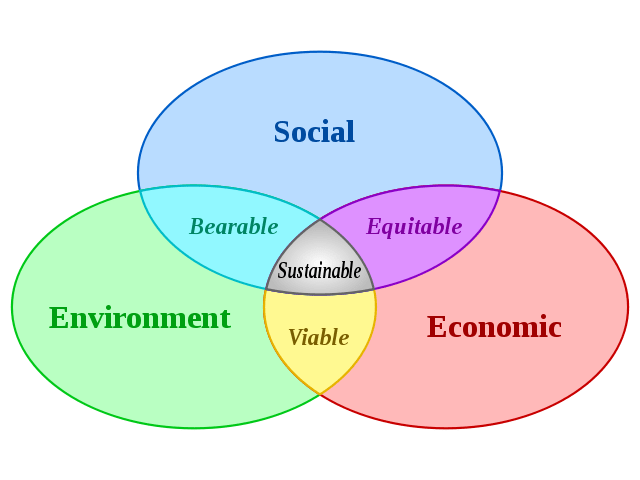 It consists of numerous chapters detailing the role that different parts of society should play in implementing “sustainable development.” There are chapters for central governments, local governments, businesses, and community organizations. George Bush senior, then President of the United States, flew down and committed the United States to the U.N. FCCC (Framework Convention on Climate Change) agenda. Ever since then, the Executive Branch — Republican and Democrat — has been bypassing Congress, and passing “soft laws” foisting Agenda 21 on the American public. Check out the U.S. Department of Energy website. Check out the U.S. Department of Agriculture website. Check out the U.S. Department of the Interior website. No matter where you go, environmentalism permeates the U.S. Government bureaucracy. Sometimes it’s blatant and out front; other times you may need to dig a little — but it is always there. The Agenda 21 Globalists wine and dine each other, and hold conventions and conferences around the world. They give each other praise, pats on the back, and prestigious awards. The Norwegian Globalists just gave Obama the Nobel Peace Prize, and for the same reason that they gave one to Al Gore — promoting globalization and Agenda 21. 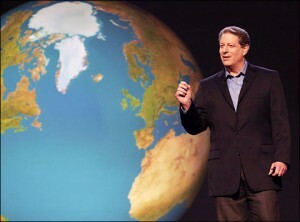 Gore’s movie “An Inconvenient Truth” also received an Oscar from the Hollywood elite. These honors have been bestowed on Gore, not for exposing the truth — for “An Inconvenient Truth” is merely a slickly packaged lie — but because the film spreads the falsehoods of Agenda 21 so well. The Daily Mail also noted that the lawyer who successfully sued to have the disclaimer attached, said it did not go far enough. “He said ‘no amount of turgid guidance’ could change the fact that the film is unfit for consumption in the classroom.” Yet American students see it over, and over. With no disclaimer. In June of 2009, NASA said that global warming is caused by solar cycles — i.e. the sun. Unsaid was the fact that the greenhouse gas theory is full of holes. Actually it’s a fairy tale, a convenient lie to force the world to bend to the will of the globalists. Under pressure from the Obama Administration NASA now teaches that global warming is caused by the greenhouse effect, and “bad” gases like CO2 — which we humans unfortunately emit each time we breathe. Bad humans! Al Gore, the CoR, the U.N., and all of the environmental organizations and their adherents, don’t care what the truth is. They could care less about what causes global warming. They have their “outside enemy… invented for the purpose,” and they are not about to let go of it. The Globalists actually tried Global Cooling first, but for various reasons it didn’t fly. Look at page 22 in the 1974 Annual Rockefeller Report, and you’ll find the mention of a conference called to investigate “…the future implications of the global cooling trend now underway….” Things sure warmed up in a hurry. So what is the “purpose?” What’s really behind all the global warming hoopla? Power. It’s the same old Marxist/Communist/Fascist collectivist schtick, dressed up in new clothes. Global warming is all about a power grab by a wealthy elite and their collectivist sycophants — using the U.N. as a cover and tool. As always, there are numerous “useful idiots” who swallow the party line whole. Some of them are simply misguided idealists, and some of them are nuts — dangerously nuts. Behind it all, is a relatively small group of people who are manipulating the world for their own sick, narcissistic ends. It’s a perfect cover. Think about it — who doesn’t feel that fresh air, clean water, and healthy environments are admirable ends to work towards? Any sane person supports such ideals. But hidden in back of the admirable goals are some diabolical designs. Don’t take my word for it, and don’t dismiss me without research. We all need to know what’s headed our way shortly. If you aren’t aware of these facts already, then educate yourself on the internet. At least check out Green-Agenda.com. What have we seen since the Obama Administration took over? The brainiacs in charge of America’s finances have been ignoring our debts, and eagerly proposing ways to sink us deeper into the quagmire. A lot deeper. At first I thought that they were simply corrupt, venal, self-serving idiots — all of which is undoubtedly true, but they’re also destroying America’s financial foundation, cleverly and intentionally. 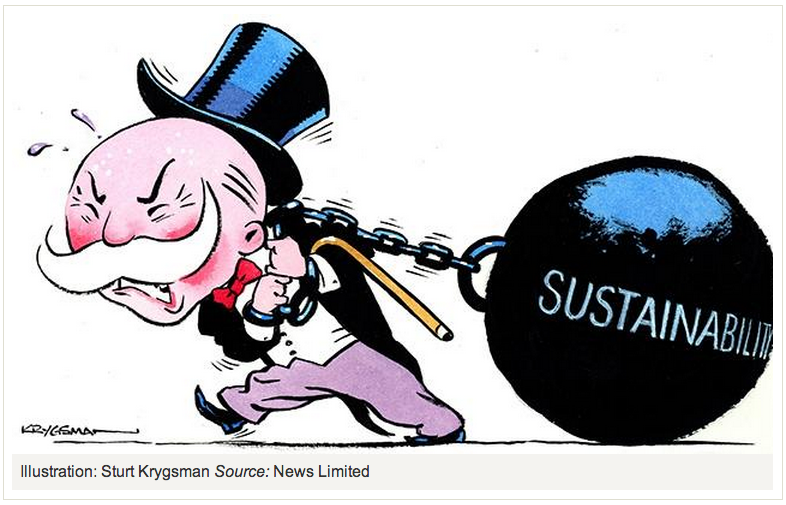 Why else would they add trillions to an already staggering debt? Why else would they try to rush through a Cap and Trade bill that will, in Obama’s words, make electricity prices “skyrocket.” Why else would they jam ObamaCare down America’s throat? Why else would Obama say he’d bankrupt anybody who built a new coal plant? Once you grasp Agenda 21 and the sly machinations of the United Nations, and globalizing NGOs like the CoR, it all makes sense. It’s “The Plan.” Ruin America’s economy, destroy her middle class, and put a stranglehold on her energy grid. Forced to cut back on fossil fuel consumption. Forced to cut back on water usage. Forced to give up our property. Forced to eat less. Forced to warm or cool our homes less. Forced to give up driving. Forced to give up these, and many other things that we currently take for granted. It’s “The Plan” — you had better believe it. It is not just America this is happening to, of course. 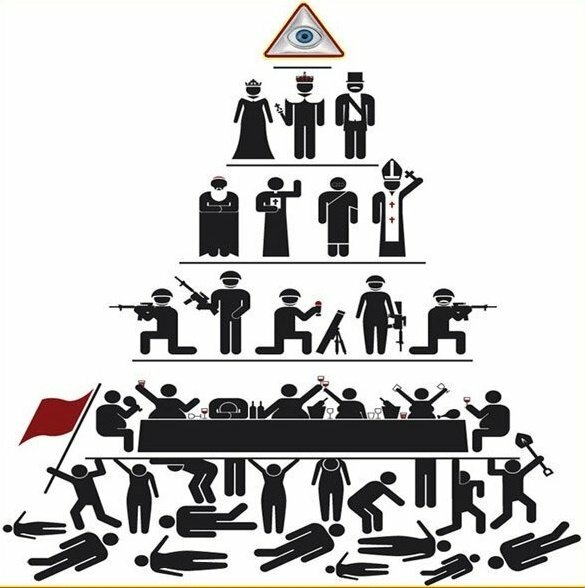 Australia, Great Britain, Japan, Canada, Germany… Every country is on the verge of being converted into a vassal state—part of a global hegemony run by the U.N and a power elite. All this will be more easily accomplished with a greatly reduced population. Did I mention population reduction and control? Behind all the warm and fuzzy terminology about “smart growth,” “sustainable development,” and “think green,” lies a very chilling fact. 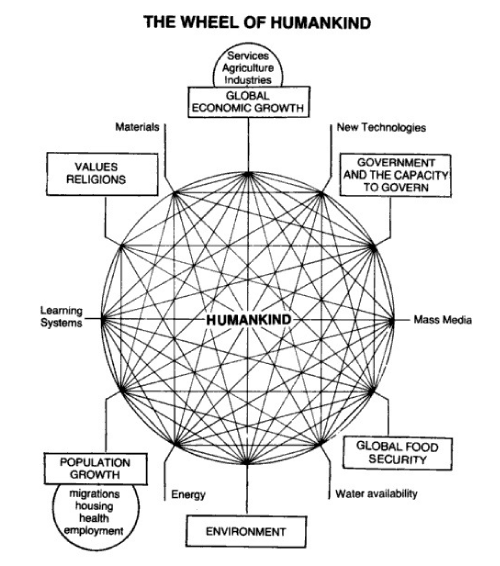 The Agenda 21 folks want to reduce the earth’s population—substantially. The hard-core environmentalists are all bio-centrists. That is, they believe that humanity is no more important than any other species on this planet. In fact, to hear them tell it, the world would be much better off without any people at all. At any rate, because these Globalists are bio-centrists, most of them don’t believe in a divine spark in man, or unalienable rights, or God for that matter. In short, they don’t have many qualms about killing people. Something else to keep in mind. You know the sardonic comment “Well excuse me for breathing?” These people take that statement literally — and probably won’t excuse you. After all, you’re adding to the earth’s carbon dioxide level every time you breath out. You should do yourself a favor and peruse the quotes on Free Republic’s “So you’re an environmentalist…” web-page. If you don’t come away convinced that most of these folks are nuttier than a Payday candy bar, then I don’t know what to tell you. Many of these “useful idiots” may be crazy and harmless, but they can also be crazy and deadly. Behind them, pulling the strings, and waiting to take over, are the Global Elite and their one world government. Long lines for gas — if you can get any at all; America’s power grid will flicker and intermittently fail. Time for the Globalists to make their final moves. So America, freedom, and Western civilization goes down the drain on our watch. It’s nothing to be proud of, that is for sure. Is there no hope then? If there are still enough patriotic Americans who value personal integrity and freedom — there’s a chance we can still turn this thing around, but it won’t be easy. Far from it. But make no mistake, if we lose this one, America and the world will sink into an abyss of Godless tyranny for a very, very long time. First published October 12, 2009 Canada Free Press. Revised for Gulag Bound, February 6, 2011. Please get the word out and face up politicians with this — including at the local and state levels. This article is an update of Jim O’Neill’s “Agenda 21 and the Death Knell of Liberty,” published at Canada Free Press and Gulag Bound. The Plan, Agenda 21: The Death Knell of Liberty. “Land…cannot be treated as an ordinary asset, controlled by individuals and subject to the pressures and inefficiencies of the market. Private land ownership is also a principle instrument of accumulation and concentration of wealth, therefore contributes to social injustice.” Report of the UN conference on Human Habitat Settlements 1976. “In a nutshell, the plan calls for governments to take control of all land use and not leave any of the decision making in the hands of private property owners. It is assumed that people are not good stewards of their land and the government will do a better job if they are in control. Individual rights in general are to give way to the needs of communities as determined by the governing body. Moreover, people should be rounded up off the land and packed into human settlements, or islands of human habitation, close to employment centres and transportation. How to deal with this “cancer” ? 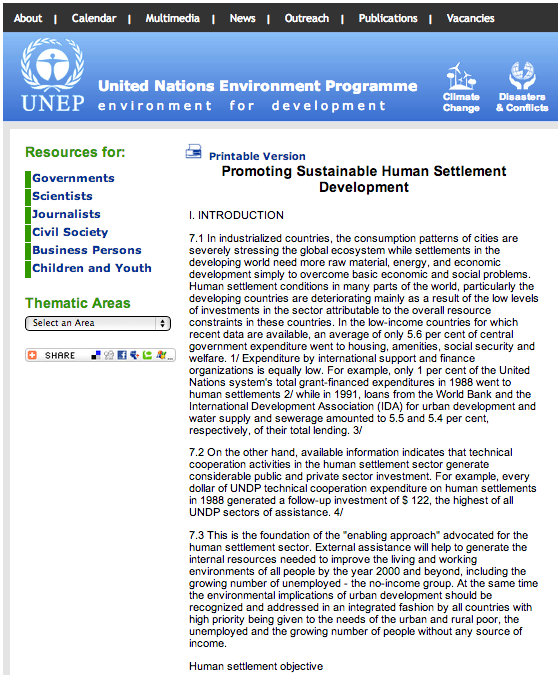 UNEP Document “Agenda 21 – Promoting Sustainable Human Settlement Development – United Nations Environment Programme (UNEP)” is back online.